When seventeen-year-old Eloise Stone finds herself half way across the world, moving into her Uncle's pool house, she expects things to be ... awkward. She doesn't expect to come face-to-face with the boy from last summer. The boy that made her feel things she'd never felt before. But a year is a long time, and Lo isn’t the same girl she was then. Besides, they’re family now. The angst! This story is so intense, and the angst is so thick, I couldn’t put it down for a single second. The triangles are twisty, and characters are multidimensional. I spent the majority of the book frustrated, and so full of hope. I never expected what came next, and I was never disappointed. I want there to be more, and I am dying to get my grabby little hands on the next book! I strongly suggest that every human read this book! Leave it to L.A. Cotton to have you needy and on edge. 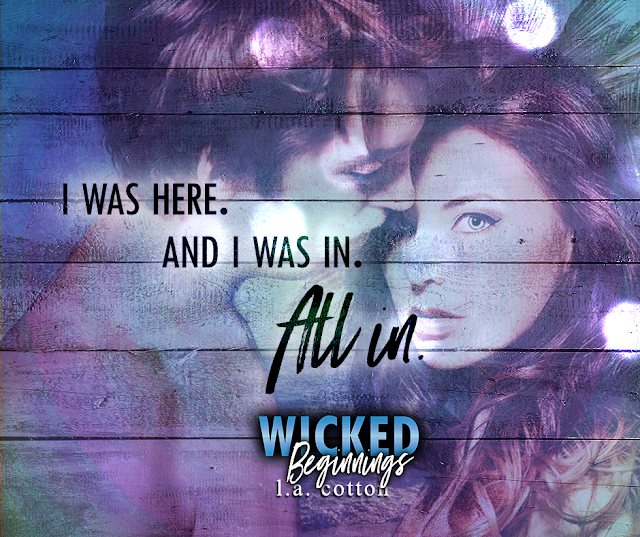 Full of angst, energy, and chemistry that needs a warning Wicked Beginnings is all about the intrigue. It is full of eyebrow raising situations but not enough answers. I need more. I need it now. I want to know all those deep dark secrets hiding behind those hooded eyes. I am twisted with the need to know everything. It seems waiting is all I can do. But I will get more info if I have to shake these characters until they tell me everything. I mean it's only book one after all. 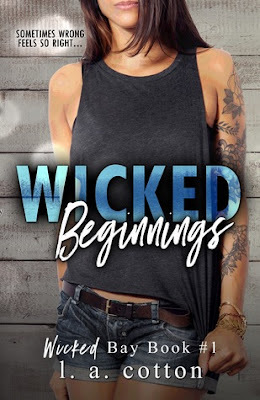 In a real fan of this author, her stories always pull me in I just love her writing style. I went through a range of emotions whilst reading, I was intrigued frustrated angry. I flipped between wanting to scream and wanting to slap some characters, yes the author almost brought me to physical violence.Eloise\Lo has moved to the US with her father for a fresh start where they will be staying with relatives. I'm going to be upfront her dad is a total waste of space I wanted to throat punch him. Lo I just loved she's a great female character, she's still dealing with past events but she's opinionated & feisty and I spent most of the story wanting to hug her.Maverick/Rick aaah ! He's what I would call deep and complicated and infuriating ..... but I fell hard for him. He's a character that little by little draws you in to his web, you know he's bad for you but you only live once right ?This is a story built on layers of secrets, just as one is answered another puzzle is found. I couldn't stop reading I wanted to know what was going to happen next. Family... friends... enemies it's hard to know who to trust. I'm left with so many questions bring on book two. Win a $25 Amazon Giftcard! 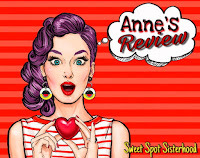 Win a Kindle Fire 7 and $25 Amazon GC!